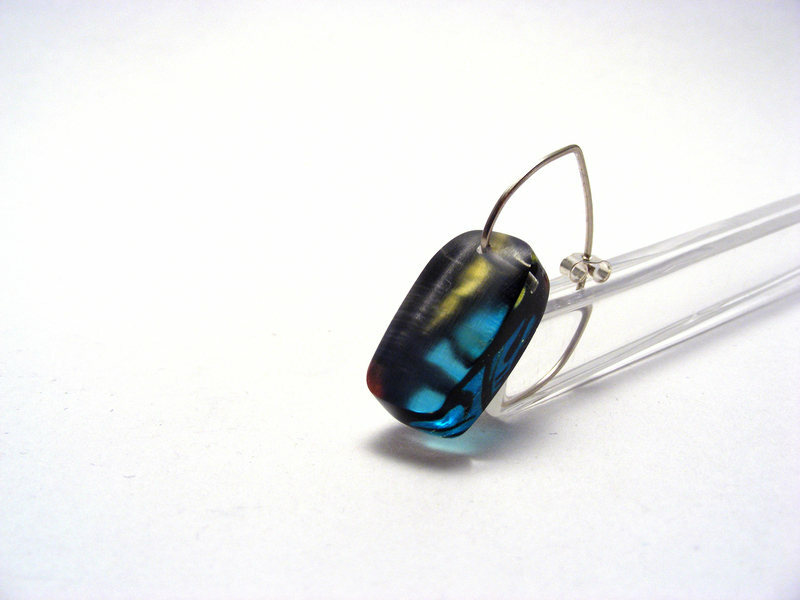 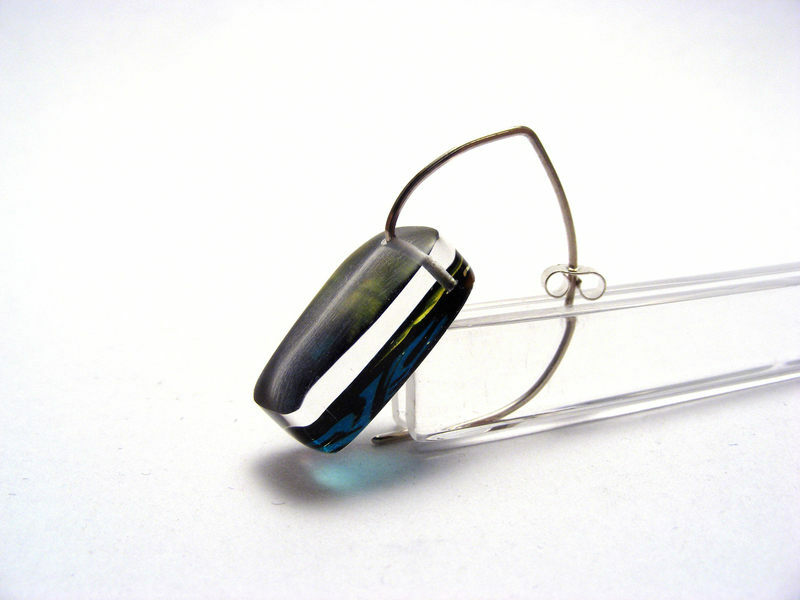 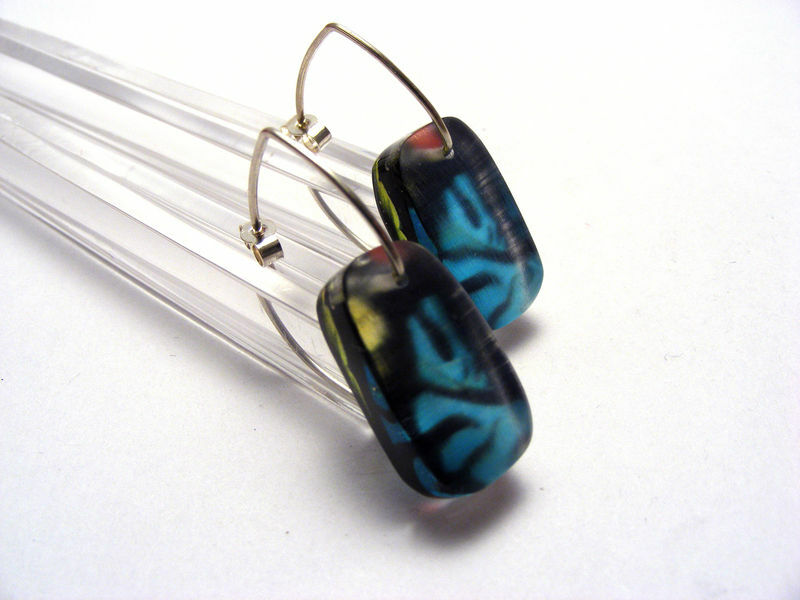 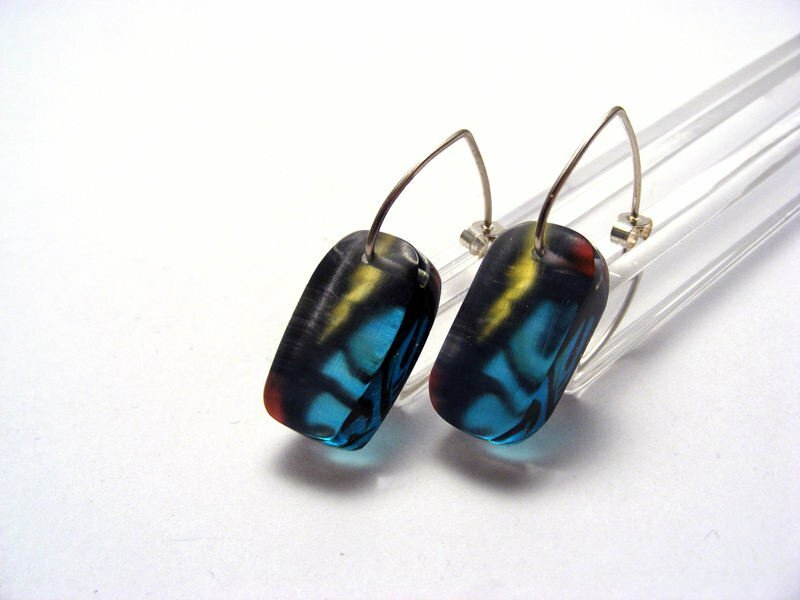 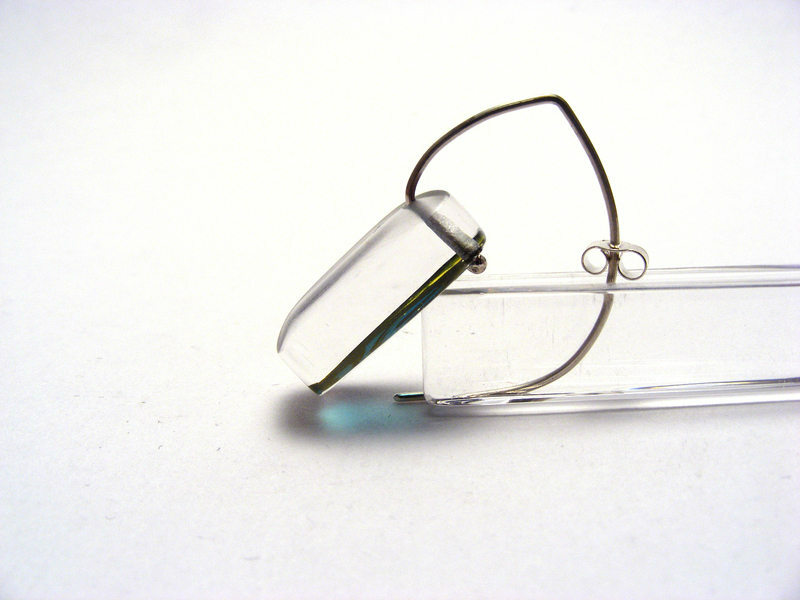 Hand made acrylic earrings featuring image of a segmented stained glass window. 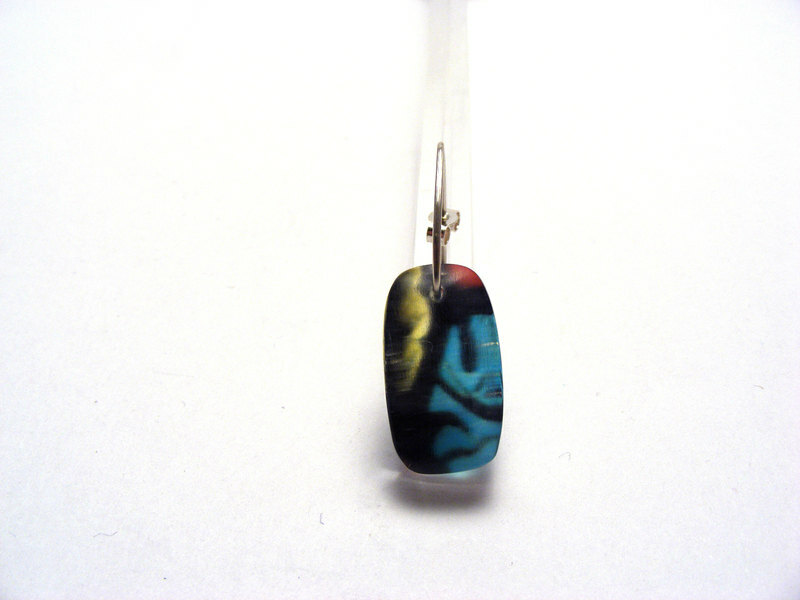 Image printed on back of earring. 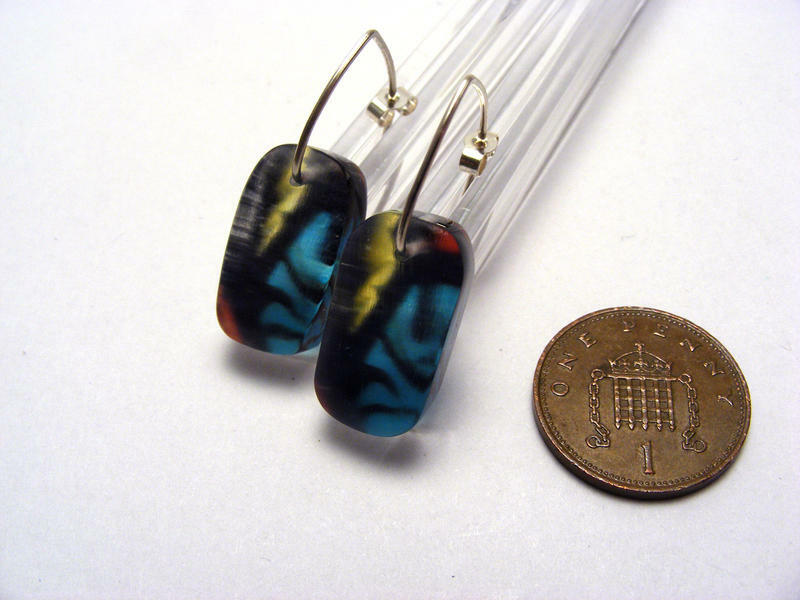 6mm thick but have slightly uneven suface and shape to allow the image to distort in a different way.